DFS has announced the launch of its new multichannel platform and websites, www.dfs.co.uk and www.dfs.ie, delivered by e-commerce integrator Salmon. The new platform has been designed to offer customers of the British furniture retailer an integrated journey, taking them all the way from inspiration to purchase, via whichever channels and devices they use. 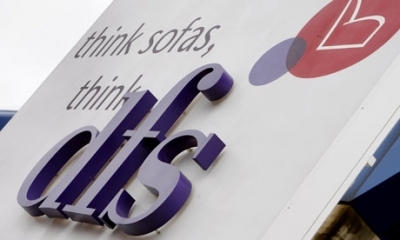 DFS carried out extensive research in collaboration with customer experience analytics firm ForeSee to understand how consumers wanted to use the online environment to help them find their perfect sofa. Insights showed that customers increasingly seek inspiration, gather research and compare designs, colours and value online, before they visit a DFS store. And yet, just as when people purchase a car, they rarely commit to buy until they’ve sat in the front seat - or in DFS’ case, on the sofa. Analytics also showed that channels through which customers access DFS’ website is changing. The increase in consumers’ use of tablets as they search for a new sofa, for example, is increasing at an exponential rate. The data shows a staggering increase from 10% to greater than 30% in website traffic from tablets in the last six months, a figure that is likely to rise as tablets grow in popularity. DFS chose the IBM WebSphere Commerce platform to be the foundation of their sales and marketing operation and to support all their customer touchpoints, including tablet, PC, mobile, telephone sales and stores. After browsing for inspiration on the website, customers can now get help with online videos, buying guides and visualise their sofa through a new colour configuration tool, chat with customer advisors via video, text or phone to discuss the options available, including size, colour, fabric and more. Salmon also developed an optimised checkout for customer advisors to guide them through the sales process. Customers will also be able to use new devices, including touchscreen kiosks and iPads available in all 97 DFS stores, to continue their browsing experience and ‘bring their front room’ with them to the store. In addition, when customers add products to their favourites list and basket, these are then visible across devices. They can track their orders and receive update statuses; order colour swatches on selected ranges; and search and select their nearest store based on where a specific product model is displayed. The multichannel platform also features social media integration with the likes of Facebook and Twitter. DFS selected a number of partners to create the ultimate experience for their customers including, Salmon to deliver the project, bringing together people, partners and systems, Grand Union for customer experience design, Amplience for dynamic imagery and video, Worldpay’s online payment solution, ForeSee for customer experience analytics, Rackspace for hosting and Mediacom for search optimisation.